Ticks cause blood loss and anaemia in livestock, particularly cattle and deer, resulting in production losses.Problems for the host animal include pelt damage, loss of blood, and a variety of possible reactions. A strategic approach using farm management practices, together with treatment with VETMED Flumethrin through the evolution stages, will achieve effective control. 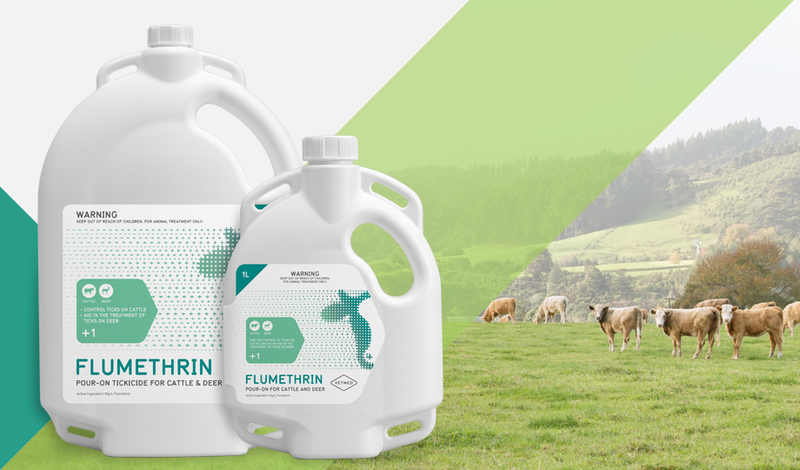 Treating all cattle and deer on a property every 3-6 weeks with VETMED Flumethrin will ensure every larvae, nymph and adult that attacks these hosts will come in contact with the active ingredient, killing the majority of ticks. Even adult stages that survive are usually rendered sterile. Experience has shown that VETMED Flumethrin treatments starting before and finishing after each lifecycle stage will dramatically reduce future tick populations. Non treated animals also act as hosts to allow the tick to cycle, these can include sheep, rabbits, hares, dogs, horses. Treating all stock and reducing pest numbers will assist in the control of the tick population. Treatment and quarantine of all new stock is highly recommended before movement to such areas.